On September 29, 2015, North Carolina state lawmakers passed H.B. 318, a blatantly anti-immigrant piece of legislation, on a 70-43 party-line vote. The bill, known officially as the “Protect North Carolina Workers Act,” includes two provisions that would damage trust between the state’s extensive immigrant community and local government agencies, including law enforcement. H.B. 318 would prohibit North Carolina cities from passing community trust policies, known as sanctuary city ordinances, that seek to build trust by limiting local law enforcement’s cooperation with the federal government over civil immigration matters. The legislation would also prevent law enforcement and other government agencies from accepting identification cards issued by foreign governments, an option many law enforcement agencies use in their routine policing. North Carolina Gov. Pat McCrory (R) now has two more days to sign or veto the bill. The country has been down this road before and has seen the results of similar legislation in a number of states. In 2010, Arizona passed S.B. 1070, which authorized local law enforcement to check an individual’s immigration status during routine policing and raised concerns over institutionalized racial profiling. As a result, Latino businesses began to leave the area, and trust between law enforcement and the immigrant community eroded. A 2010 report by the Center for American Progress estimated that Arizona lost at least $141 million in revenue from conference cancellations in the first year alone. The Supreme Court struck down much of S.B. 1070 in 2012, and lower courts have followed suit by striking down similar laws in Alabama, Georgia, South Carolina, and Utah. Although distinct from S.B. 1070, North Carolina’s H.B. 318 poses similar dangers, including having a chilling effect on immigrants and their loved ones. Local law enforcement officials rely on all residents for information to solve crimes; policies that weaken this relationship dissuade individuals from cooperating and ultimately make law enforcement more difficult. Given North Carolina’s history of active participation in programs that entangle local law enforcement in efforts to enforce federal immigration law, the state’s immigrant communities know all too well the harmful impact that these policies can have on their communities. Local government and law enforcement agencies have spent many years building positive relationships within the growing immigrant community; H.B. 318 would severely undermine these efforts. North Carolina has experienced an extraordinary and rapid shift in its demography over the past few decades. The state’s immigrant population increased 551 percent from 1990 to 2013. North Carolina now has an immigrant population of nearly 750,000, including approximately 350,000 unauthorized immigrants. In major cities, this growth has been even more dramatic. The immigrant populations of Charlotte, Raleigh, Durham, Greensboro, and Winston-Salem, for example, increased between 700 and 1,000 percent from 1980 to 2005. These immigrants have had a considerable economic impact in North Carolina. A 2014 study by the University of North Carolina at Chapel Hill showed that immigrants were a net positive for North Carolina’s economy, contributing more than $27,000 per capita per year. North Carolina generated $10 in economic contributions for every $1 it spent on services for immigrants in 2010. Meanwhile, the litigation costs from an anti-immigrant bill such as this can be enormous. The city of Hazleton, Pennsylvania, was recently ordered to pay $1.4 million in legal fees in a case that successfully challenged the city’s anti-immigrant ordinances. But unlike cities such as New York and Los Angeles, which have tailored government services to respond to diverse populations, North Carolina communities lacked the infrastructure to serve and integrate immigrants and were forced to adapt quickly. Early responses to the influx of new immigrants were not always productive. Instead of enacting policies that successfully integrate immigrants, many North Carolina communities chose to do the opposite, with disastrous results. 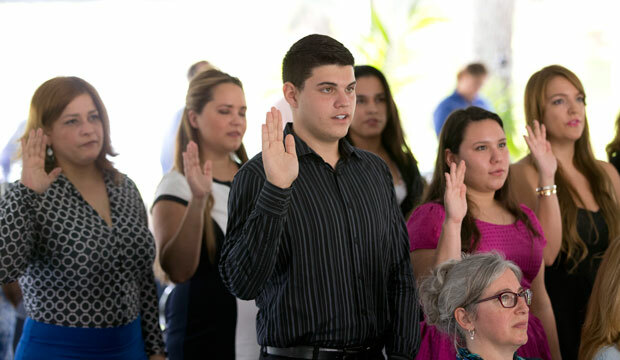 One reaction among North Carolina communities to the changing population was a heightened willingness to participate in the 287(g) program, a federal-local immigration enforcement partnership in which selected local law enforcement officers are authorized to ask individuals for their immigration status, among other immigration enforcement duties. From the launch of the 287(g) program in 1996 to 2009, North Carolina had more jurisdictions sign up than any other state. On its face, the 287(g) program is supposed to identify and remove immigrants who commit serious crimes from the United States. Studies of how the program operates on the ground, however, paint a very different picture. For example, a study in North Carolina by the Migration Policy Institute found that more than 50 percent of Immigration and Customs Enforcement, or ICE, detainers—requests to hold someone in custody until ICE can come pick them up—in four communities resulted from traffic offenses. In three of those communities, only around 10 percent of those identified were violent offenders. Moreover, in 2012, the Department of Justice suspended the program in Alamance County, North Carolina, amid an investigation that found that local deputies stopped Latino drivers 4 to 10 times more often than non-Latino drivers; were more likely to check for their identification; and were more likely to arrest them for minor traffic violations, whereas non-Latinos received only citations. Other studies of the 287(g) program in North Carolina demonstrated that it undermined trust between immigrant communities and law enforcement. Immigrants were not willing to report crimes, violence or domestic abuse, or even accidents because they feared that any type of interaction with authorities would lead to deportation. The chilling effect of this was not limited to unauthorized immigrants, many of whom have legal or citizen family members. Currently, five North Carolina counties participate in the program—the highest number of any state. While some North Carolina communities were pursuing policies that destroyed trust among immigrant communities, a number of major cities and advocates were engaged in constructive efforts to integrate and better serve the immigrant community. More recently, the city of Charlotte created an Immigrant Integration Task Force to make recommendations on ways to integrate the growing immigrant community. The task force advised the city to issue municipal identification cards to all residents, a proposal that received strong support from the police department and other community members. In 2012, the Greensboro Police Department partnered with a local group called FaithAction International House to issue identification cards to all Greensboro residents. And even against the backdrop of H.B. 318, some North Carolina lawmakers are pushing to pass a bill, H.B. 328, that would allow unauthorized immigrants to obtain driver’s licenses. Several national and local advocacy groups have come together to denounce H.B. 318. The NAACP, United We Dream, the AFL-CIO of North Carolina, the North Carolina Justice Center, the North Carolina Council of Churches, and several members of Congress have all called upon Gov. McCrory to veto the bill. These groups argue that H.B. 318 would threaten community well-being and public safety, increase workplace exploitation, and undermine the authority of local governments to address the needs of their constituents. Just last week, a group of advocates in Charlotte launched a hunger strike to demand that Gov. McCrory veto the bill. State and local governments have a real opportunity to craft laws that welcome immigrants, recognize their economic potential, and build community trust. H.B. 318, by contrast, would send a negative message to the entire immigrant population in North Carolina. The state of North Carolina also stands to lose, economically and otherwise, in the process. Gov. McCrory should heed the unified calls of North Carolina communities and veto H.B. 318, while continuing to pursue policies that bring communities together, rather than drive them apart. * Author’s note: Data as of August 2013 provided to the author by the Embassy of Mexico in September 2015.